Atlanta-based cloud and colocation provider DC Blox is about to open a data center in Huntsville, Alabama. The first phase of the project offers 9,000 square feet of white space and 3,600 square feet of office space, including conference rooms, staging areas and workstations. The building is located near the Redstone Arsenal military garrison and NASA’s Marshall Space Flight Center. It will be opened by Huntsville’s Mayor, Thomas “Tommy” Battle, on October 3. 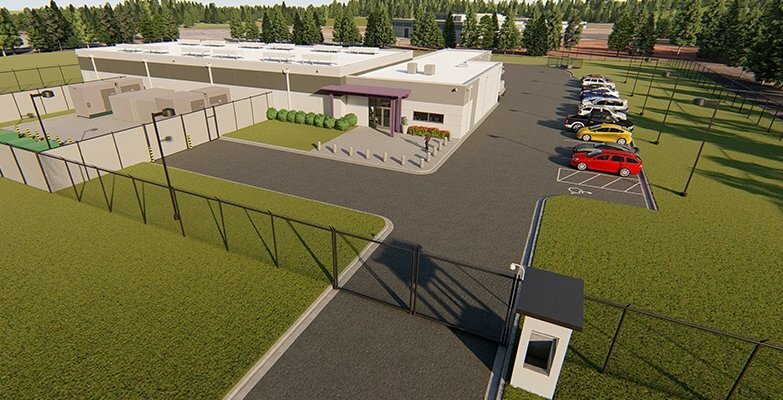 DC Blox owns and operates data centers in Atlanta and Chattanooga, and has a 5MW facility under construction in Birmingham, Alabama, set inside a former Trinity Steel plant. The company’s sites are linked by 450 miles of its own dark fiber network. DC Blox is particularly interested in edge markets in the Southeastern US that have a high population but are underserved by major data center operators. Its latest project is located on a 5-acre plot of land at 333 Diamond Drive in Huntsville. It already offers 9,000 square feet of white space, and could be expanded to 36,000 square feet and 10MW of power capacity. The entire project is expected to cost some $13 million. According to DC Blox, Huntsville is recognized as Alabama’s fastest-growing metro area with a strong focus on jobs, education, infrastructure and economic development. The city’s economy revolves around the needs of Redstone and the Marshall Space Flight Center, with the sites responsible for employing nearly ten percent of Huntsville’s population. While the army post has its own IBM-built data center, DC Blox hopes to attract customers serving that environment.